For the Ukrainian Institute of Modern Art, Lubomyr Krushelnytsky is the true pioneer of Music Programming at UIMA today. For over a decade he chaired the Music Committee and took an active role in the expansion of the Institute as a member of the Board of Directors. Throughout the years of his dedicated service to our institution, he has tirelessly sought and brought unique musical talents to the stage at UIMA. Today Mr. Krushelnycky’s legacy lives on in the vibrant musical program that UIMA offers to the public. 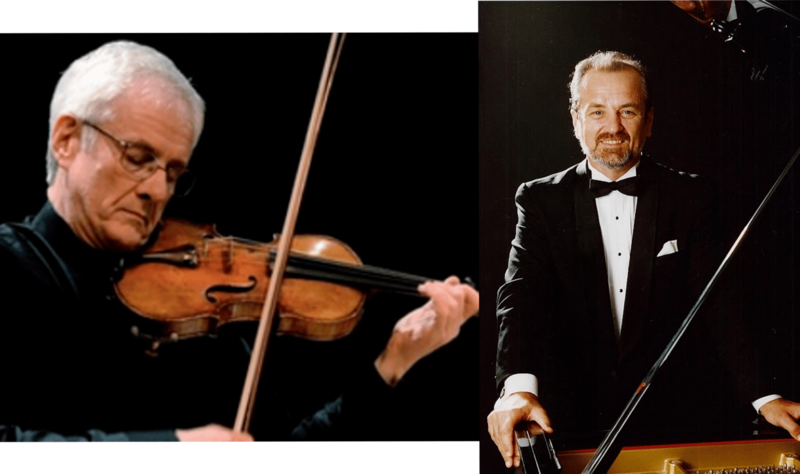 Two celebrated Ukrainian musicians and Lubko’s close friends Mykola Suk on piano and Oleh Krysa on violin, who have performed at UIMA and on stages all over the world, will return to UIMA to perform as a gift of love to Lubko’s memory. The program will include compositions by Beethoven, Bach and Skoryk. Join us for an exquisite performance in memory of an outstanding man, with the mind of an engineer and the heart of a musical enthusiast, a lyrical soul who wholeheartedly chose UIMA as the venue for fruition of his true passions.